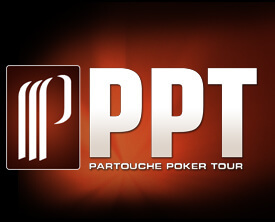 It takes a big story to push a seven-figure prize out of the headlines, but the Partouche Poker Tour managed to accomplish just that thanks to its incredibly tactless attempt to renege on a €5 million guarantee for the Season 5 main event. Not only did the action at one of the biggest tournaments of the year get relegated to the back-seat, but so did the remarkable run of Dan Smith, who has been on fire in tournaments throughout 2012, but couldn’t even get a headline in Cannes thanks to the controversy. Smith who has a virtual lock on every major Player of the Year race, finished 7th in the Partouche Poker Tour Main Event and with just a few months left in the 2012 tournament schedule could become the first player to win the Bluff, Cardplayer, and Global Poker Index Player of the year awards. But the real story was the insistence by the Partouche Poker Tour that there was no €5 million guarantee, which led to a shocking press conference by Patrick Partouche where he chastised the players who were making a big deal over the missing €730,000 and announced that the Partouche Poker Tour would be coming to an end following the Main Event. After loads of evidence was presented showing that the PPT had in fact guaranteed a €5 million prize-pool, the tour relented and added the money, even though they still intend to shudder the PPT now that the Main Event is over. As far as the tournament itself, even though he finished in 7th place Dan Smith will likely be the talk of the poker world, as will another Dan, Dan O’Brien, who finished in 4th place. The winner of the tournament, and nearly $1.5 million, was Ole Schemion, a German poker player who has put together some very impressive results in side events over the past year. The PPT victory was far and away his best result to date, but Schemion has won the $1,000 NLHE event at the EPT Berlin tournament in 2011 and 2012, as well as a pair of runner-up finishes in two other NLHE events. So with the end of the PPT Main Event, the curtains are now closed on what was considered one of the most prestigious poker tournaments in recent years; as well as one of the most controversial thanks to this year’s fiasco and the Ali Tekintamgac situation back in 2010.